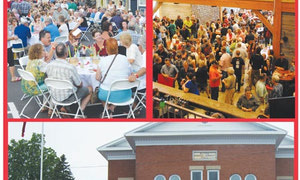 The Citizen for April 18, 2019, includes coverage of the provincial government budget and reactions from Huron-Bruce MPP and Minister of Education Lisa Thompson, a new Easter event in Blyth and the Central Huron budget. 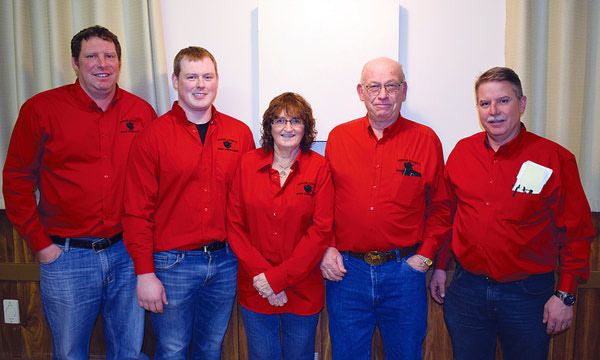 The Rural Voice for April 2019 includes stories about Brussels farmer Tim Prior and his wagyu beef, maximizing social media results, the art of Bonsai and two tales of overcoming mental health obstacles. 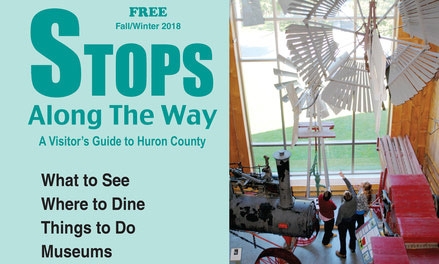 Stops Along the Way provides a comprehensive guide of where to go, what to see and what to do for people visiting Huron County and the surrounding area. It has been 25 years since the tiny African nation of Rwanda slid into the abyss. The killings happened in broad daylight, yet many of us individuals, media outlets, entire governments turned away, or failed to grasp the unfolding events. Despite some criticism of Premier Doug Ford s first budget, which was tabled at Queen s Park last week, Huron-Bruce MPP and Minister of Education Lisa Thompson says there is plenty to be excited about in the document. 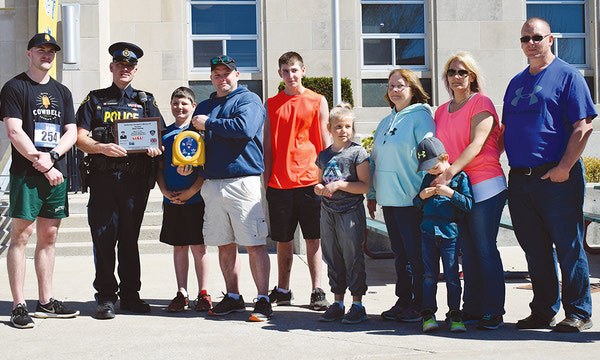 Sunday was Mikayla Ansley Day in North Huron and the Blyth Lions Club held a special event to honour the 12-year-old winner of the Lions Clubs International Peace Essay competition. The F.E. Madill School Iron Stallions robotics team made it to the quarter-finals at the FIRST (For Inspiration and Recognition of Science and Technology) Robotics provincial championship in Mississauga over the weekend. 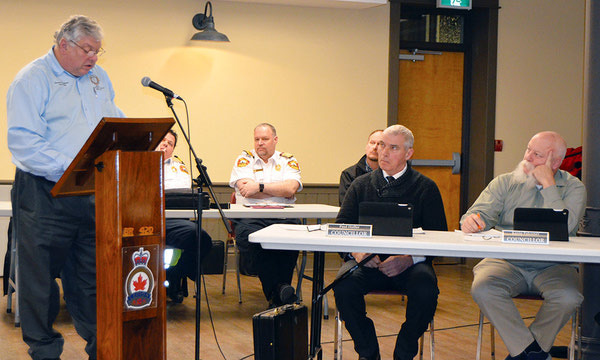 Central Huron is back under par as far as its budget is concerned, with Treasurer Terri Rau presenting a budget Monday night with an overall tax rate decrease of 1.78 per cent. Over 200 secondary and elementary students walked out of F.E. 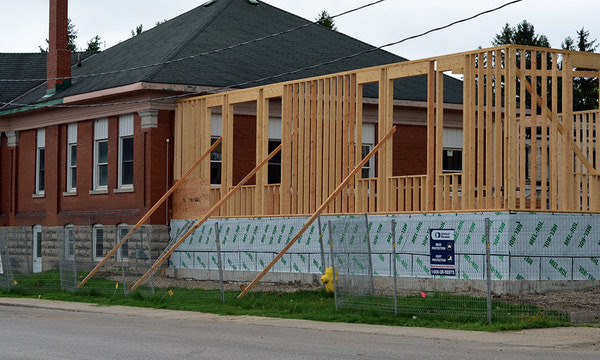 Madill School on Thursday to protest the provincial government and its proposed cuts to the education system under Huron-Bruce MPP and Minister of Education Lisa Thompson. 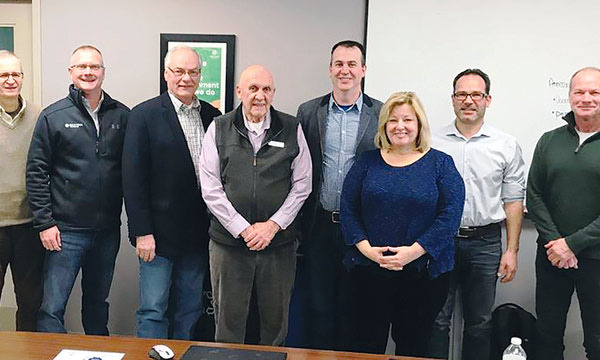 Huron-Bruce MPP and Minister of Education Lisa Thompson feels that, despite local and province-wide protests, her recently-unveiled education plan is finding traction with parents, students and educators. The Huron Heat Midget BB squad, one of two Heat teams in the year-end provincial tournament over the weekend, were named Ontario champions, finishing off a great season. 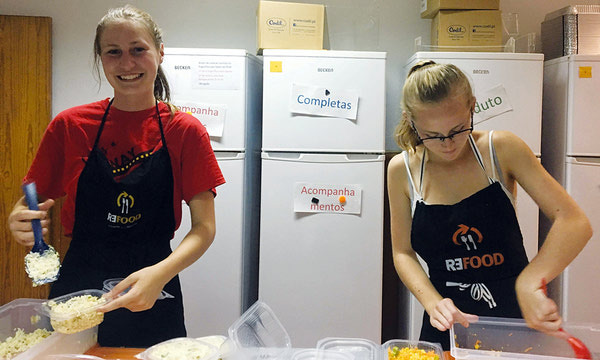 Huron East Councillor and Brussels Leo Club leader Zoellyn Onn says the recently-reinvigorated youth club has some lofty ambitions for the coming years with hopes of refurbishing the village s playgrounds. 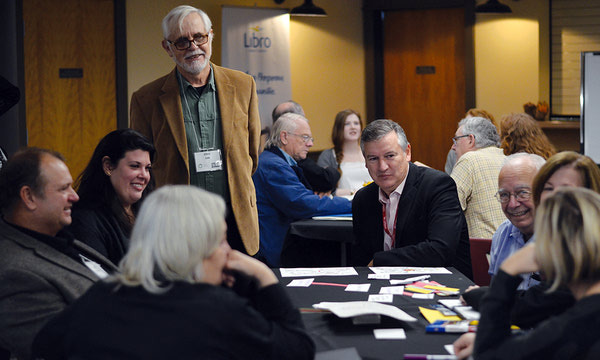 The Citizen was recognized Friday night for publishing the year s best rural story for a circulation of 9,999 and under in Ontario. 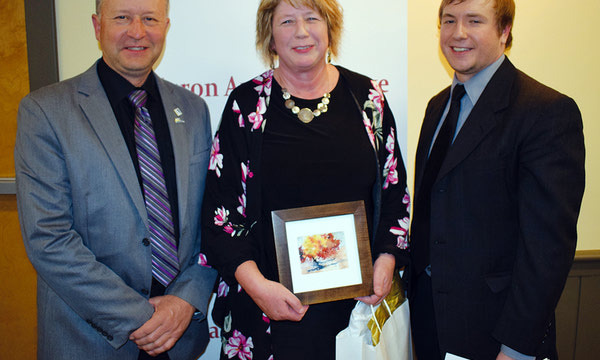 Jan Hawley, Huron East s economic development officer, is the first-ever recipient of the Ontario Business Improvement Area Association (OBIAA) Pinnacle Award. 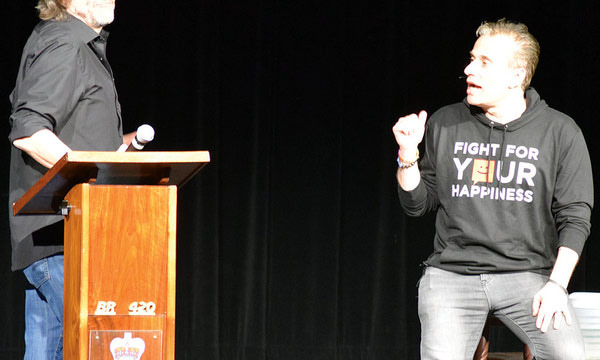 Sheldon Kennedy, an internationally-recognized advocate of violence and abuse awareness programs, was able to reach dozens of people on Friday thanks to a Rural Response for Healthy Children event in Goderich. 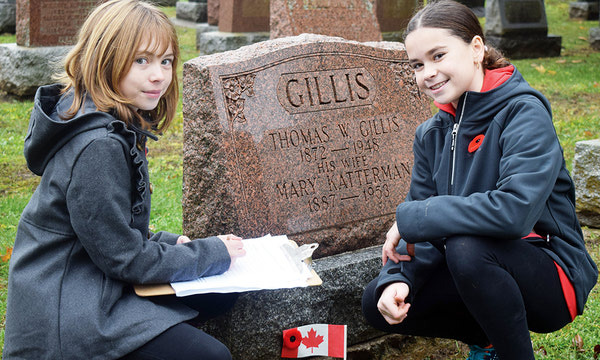 Blyth s Mikayla Ansley wouldn t let travel woes or a severe fever stop her from performing on the biggest stage of her life: reciting her world s-best peace essay at Lions Day at the United Nations in New York City. 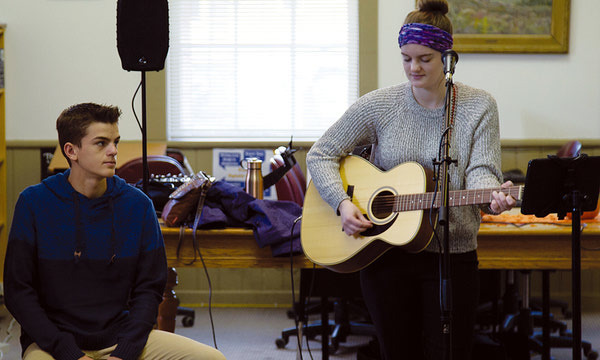 Despite great optimism going into the tournament, Shawn and Katie Cottrill failed to make the finals of the 2019 Mixed Doubles Curling Championships held last week. The Brussels Skating Club held its annual year-end showcase last week, celebrating the club s best and brightest skaters, all within the theme of popular music videos from the 1980s and 1990s. Sixteen-year-old Claire Mitchell from the Walton area is the first member of the Brussels Skating Club in recent memory to achieve quadruple gold status with the CanSkate program. Local accessibility advocate and former teacher Julie Sawchuk can now list published author to her list of accolades. 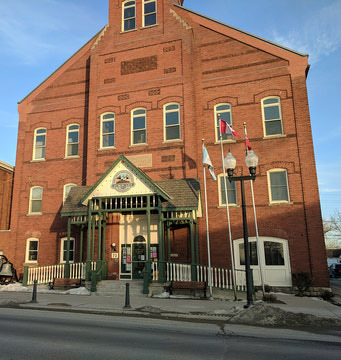 At last night s North Huron Council meeting, council approved the purchase of two parcels of land at the north end of Queen Street for a new fire hall and public works building. 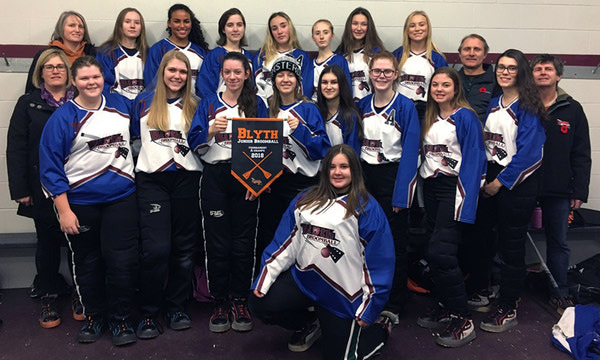 The Blyth Midget Girls Bullets broomball team captured a provincial silver medal over the weekend after a hard-fought, long tournament in Barrie. 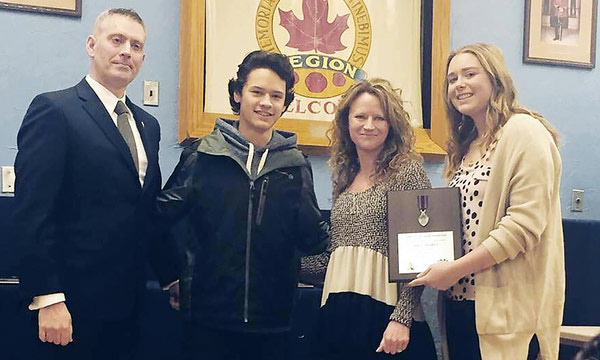 Belgrave-area youth Grace Caldwell was honoured at the Order of the Good Samaritan Awards last week, winning the Provincial Constable Vu Pham Award. 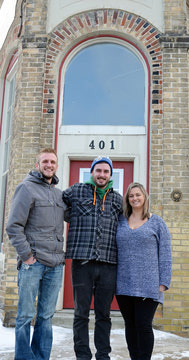 Two community-minded business ventures have found a new home in the former Cinnamon Jim s building in Brussels; a café called Mitch and Mama s Café and the Homegrown Food Bank project. 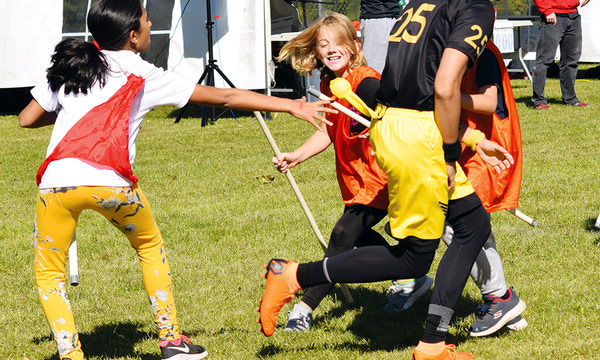 The Tanner Steffler Foundation has had a productive first year and, as Bell Let s Talk Day rolls around once again, organizers are now looking towards the future of the foundation. 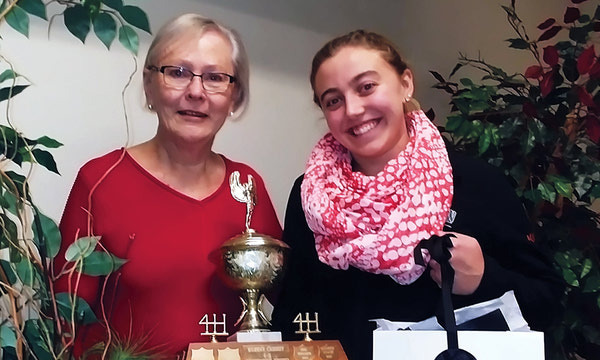 Earlier this month, Huron-Bruce MPP Lisa Thompson recognized the efforts and dedication of volunteers in her riding at her annual New Year s levée. 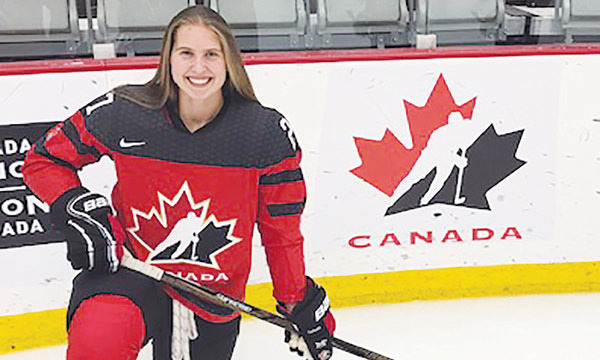 Earlier this month, Canada s National Women s Under-18 hockey team captured gold by winning a hard-fought final against perennial adversaries, the United States of America, by a score of 3-2. 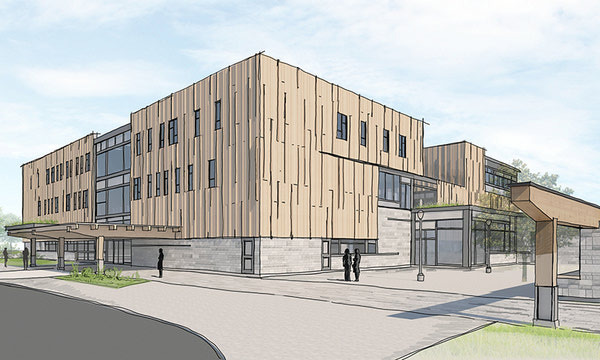 Huron County Council is one step closer to pulling the trigger on a new Huron County administration site at an estimated cost of over $26.5 million. 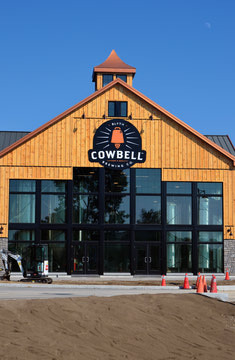 Blyth Cowbell Brewing Co. is the 2018 recipient of the Sustainable Forestry Initiative Sponsorship Award, named at the prestigious Wood Design & Building Awards, announced by Wood Design & Building Magazine. 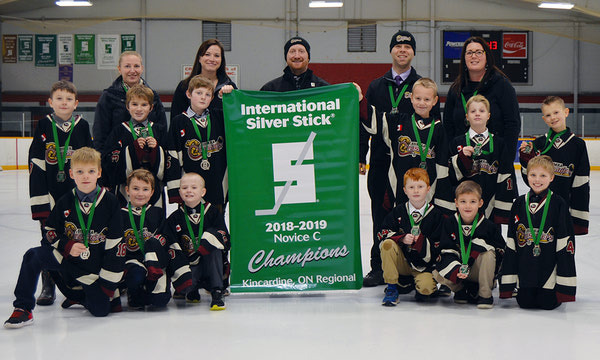 Though competition was stiff and wins were hard to find, the Blyth Brussels Novice Rep Crusaders had a great experience at the International Silver Stick tournament in Pelham over the weekend. 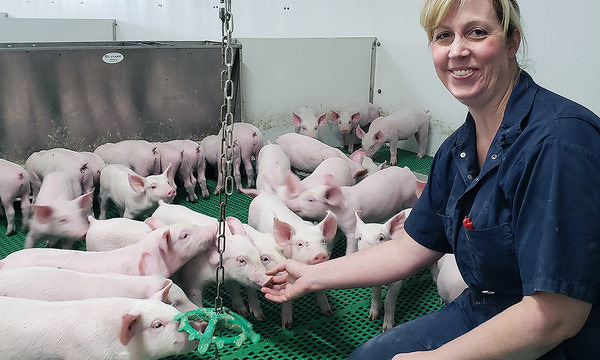 Ontario beef farmers are hoping a joint marketing initiative will result in industry growth across the province, the country and the world. 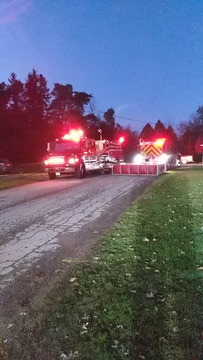 The Huron County Public Works Department and BM Ross are in the final stages of preparing for a massive urban renewal project for County Road 12 through Seaforth. 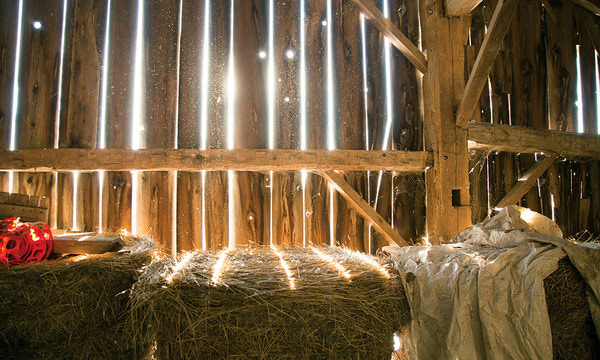 It s unexpectedly quiet in the Silver Corners Inc., sow barn owned by Dennis and Tara Terpstra. There s some grunting and a few clangs from the electronic sow feeders (ESF) but no sounds of fighting or agitation. 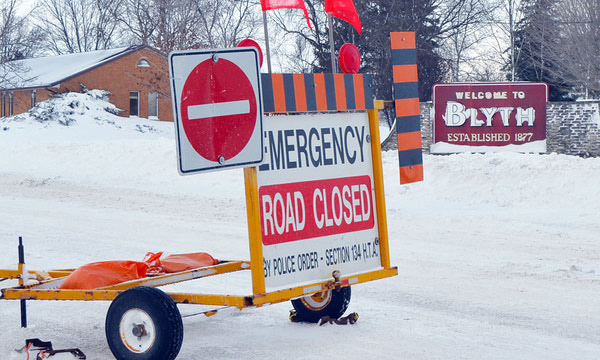 Huron East Treasurer Paula Michiels says the municipality is on track for a small surplus once the book is officially closed on 2018 s finances. During the late 1800s and early 1900s, over 100 libraries were built in Ontario with Carnegie library grants. Two of these were in Seaforth and Brussels. 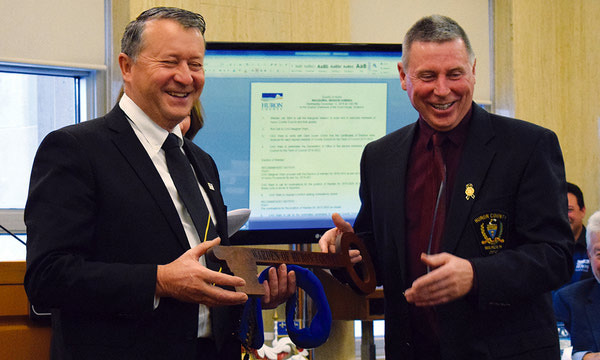 Central Huron Mayor and incumbent Huron County Warden Jim Ginn will serve another two-year term in the county s top political position. 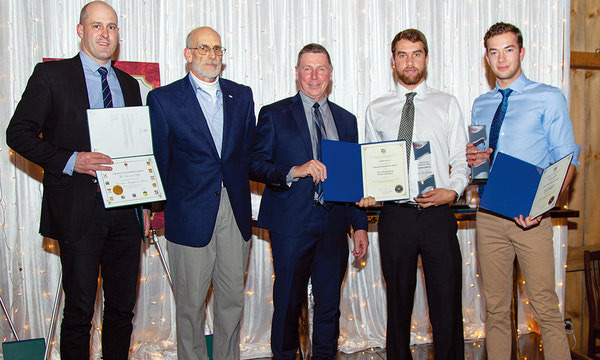 The Huron County 4-H Leaders Association Awards Program was held at the Seaforth Agriplex late last month, recognizing 4-H members for their efforts throughout the year. 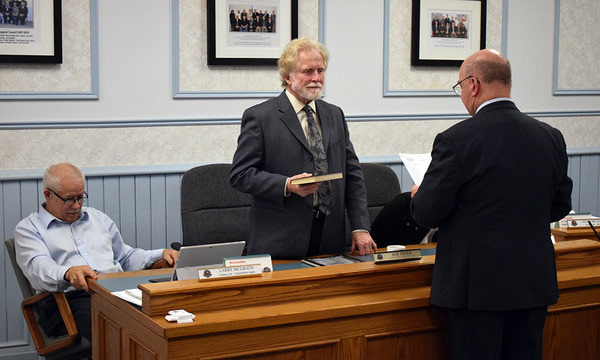 Seaforth Councillor Bob Fisher is Huron East s new deputy-mayor, besting two others who put their names forward at the inaugural meeting of Huron East Council on Dec. 4. 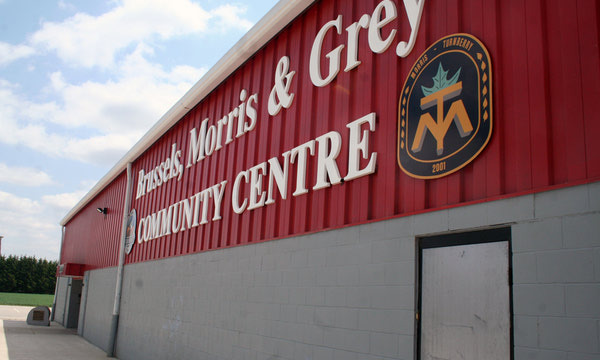 As the plans currently stand, it will cost approximately $4.5 million for the renovation and expansion of the Brussels, Morris and Grey Community Centre. 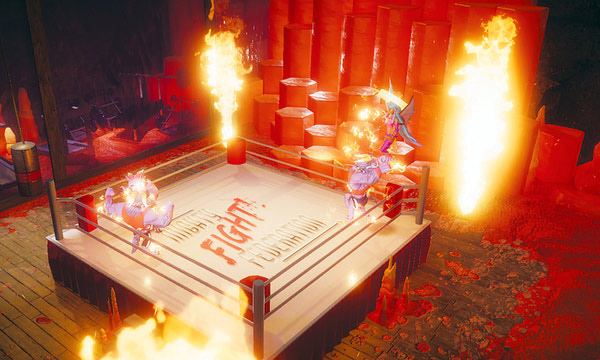 In the wake of the cancellation of the Festival of Wizardry going forward, companies and community groups are holding bills that Transfigured Town Inc. is not able to pay according to documents obtained by The Citizen. 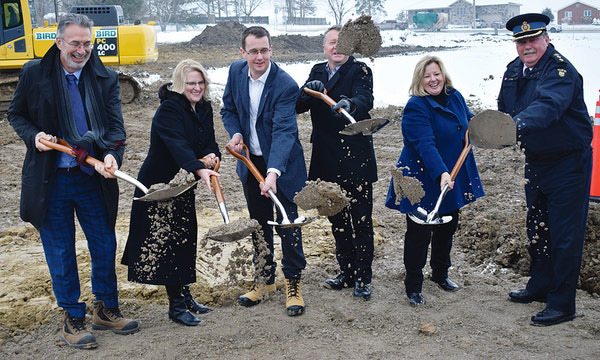 Huron-Bruce MPP Lisa Thompson and two additional provincial ministers were in Clinton on Friday to break ground on a new Ontario Provincial Police (OPP) station across the street from the Clinton fire hall. 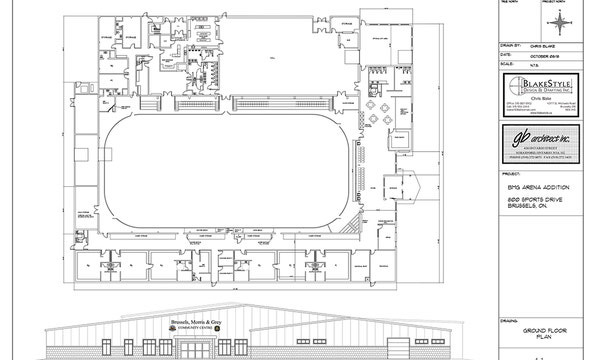 The recent, significant renovations at M.G.M. 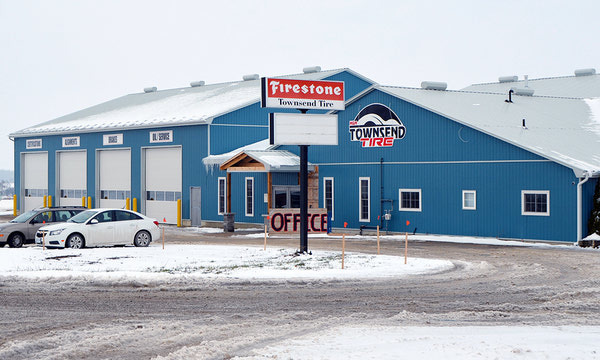 Townsend Tire outside of Londesborough have had one focus above all else: providing a more complete customer service. 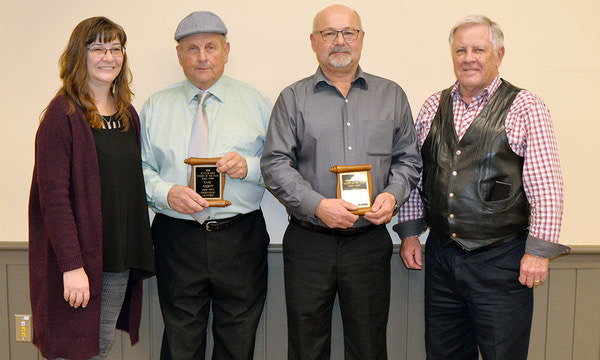 This year s Citizen of the Year Award winners Carl Nesbitt for Blyth and its surrounding communities and Doug Sholdice for Brussels and its surrounding communities were celebrated last week at a special event held at Memorial Hall in Blyth. 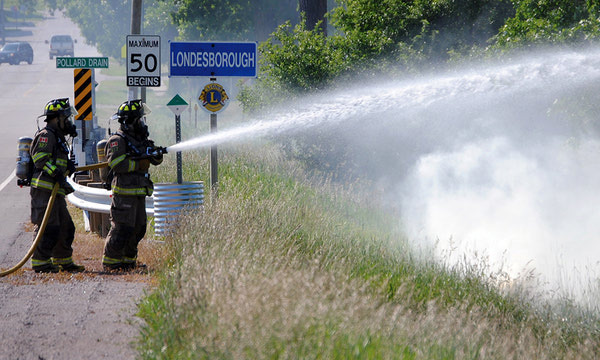 With the expiration of the existing five-year fire protection agreement looming, Central Huron again finds itself at the negotiation table with North Huron. While Blyth s Carla Pawitch is generally pleased with her work at the Ultimate Fitness Event (UFE) World Championships in Toronto earlier this month, she failed to come back with her professional card a goal she d set for herself. 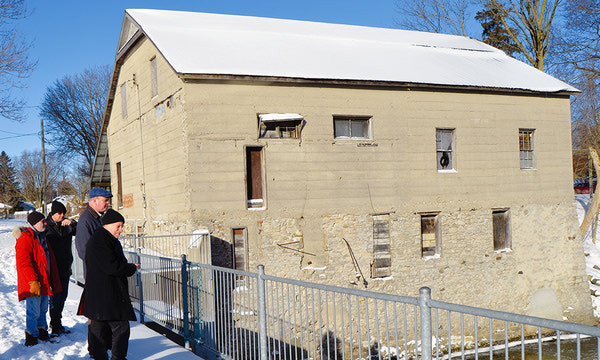 Businesses in Blyth s downtown core may see some relief from the thrice-weekly scheduled snow removal schedule North Huron implemented several years ago, however the sentiment from the outgoing council was the suggested changes don t go far enough. 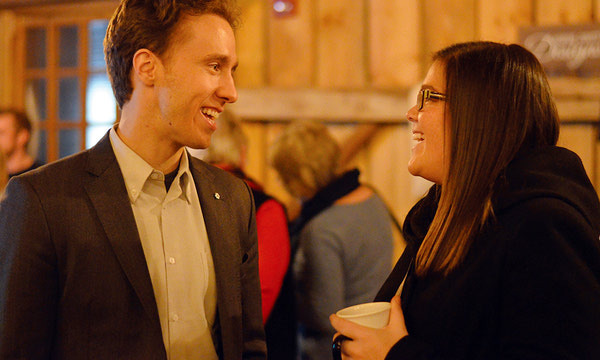 The Huron Manufacturing Association held its annual awards gala last week in Brussels at the Four Winds Barn, honouring several local businesses for their hard work, talent and innovation. 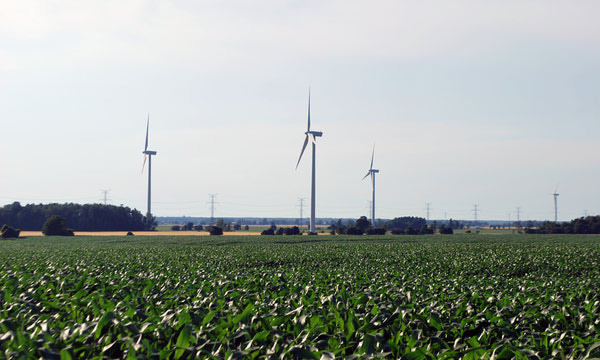 A study on the health impacts of wind turbines in Huron County didn t get enough buy-in from residents to achieve its original goal. 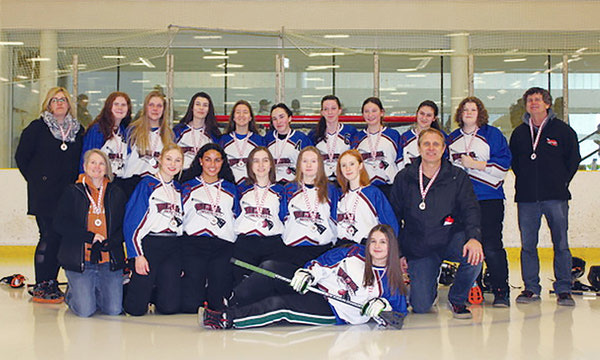 The Blyth Midget Bullets took top honours at the Blyth Junior broomball tournament over the weekend. The squad played with extreme determination and dedication and earned the banner. 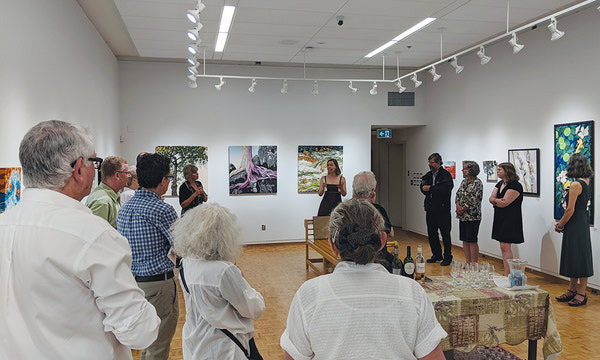 The 2019 Blyth Festival season was officially announced at the Festival s annual fundraising dinner and auction on Oct. 18, featuring five main-stage shows, two of which will be world premieres. 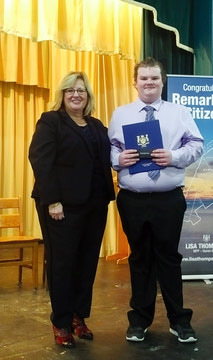 Local students Sam Hubbard and Lacey Papple received the Travel Fellowship Award at Central Huron Secondary School s convocation for their humanitarian efforts earlier this year. 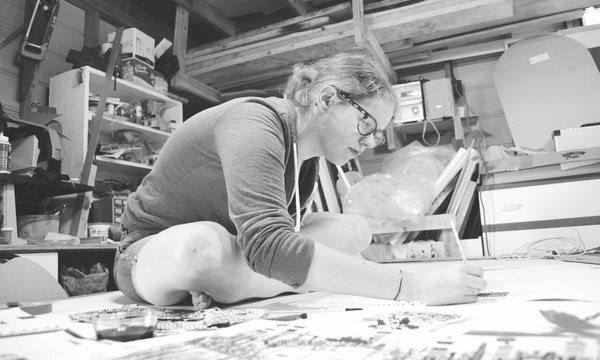 Blyth artist Kelly Stevenson has been chosen to provide both the season image and the production posters for next year s season of the Blyth Festival. 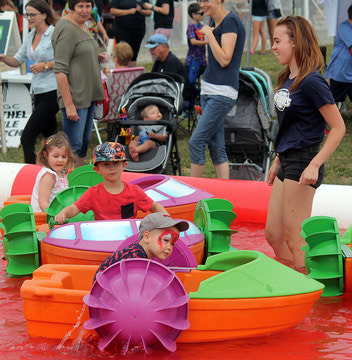 The highly-anticipated return of Culture Days to Huron County was a hit, according to Cultural Development Officer Rick Sickinger, who said he was impressed with both the quality, quantity and diversity of events throughout the community. 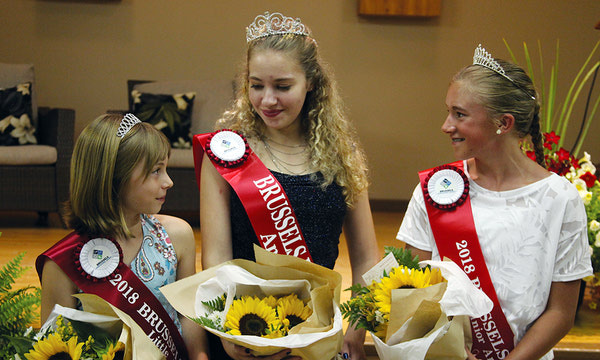 The Brussels Fall Fair spent another two days showcasing the talents of Brussels residents and marked a successful homecoming back to the village. 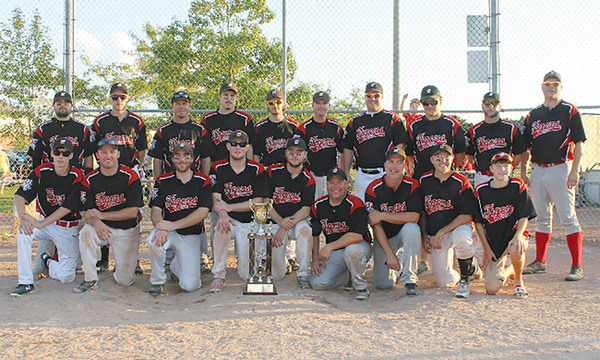 The Brussels Tigers capped off another terrific season by winning the Huron County Fastball League s (HCFL) year-end tournament over the weekend. 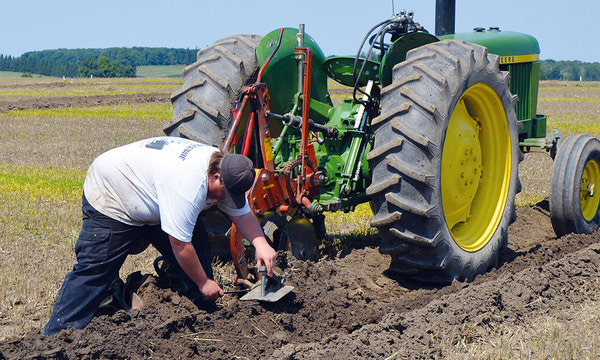 Lucas Townsend and Paul Dodds will be representing Huron County in competitive plowing for the next year after claiming victory in the Junior and Senior categories at the 91st annual Huron County Plowing Match. 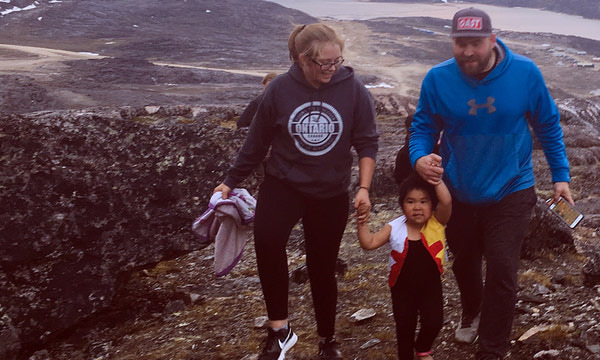 Westfield-area student Grace Caldwell is now back from her recent trip to Nunavut and she says it accomplished exactly what she hoped it would. 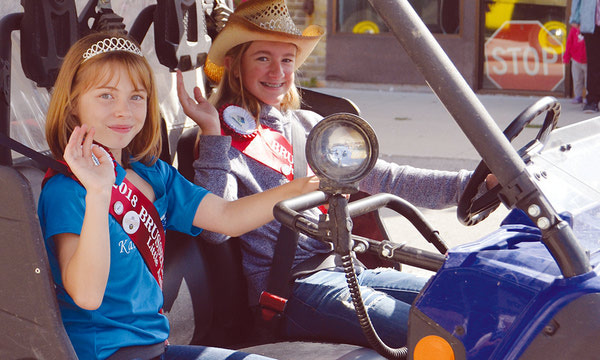 Amanda Morrison has been crowned the Brussels Agricultural Society s Fall Fair Ambassador for 2018 2019. 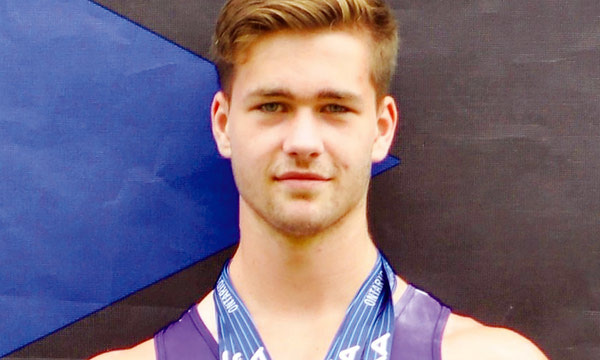 Belgrave-area athlete Ryan Jacklin has continued to make his mark on the track and field community with two gold medals and one bronze medal win at the 2018 Royal Canadian Legion s National Youth Track and Field Championships. 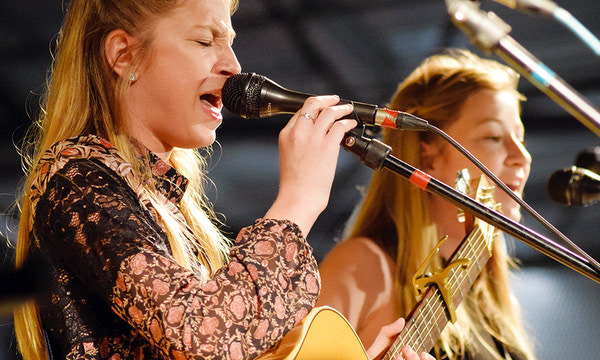 While organizers are not yet sure how much was raised over the weekend, the Tanner Steffler Foundation s twin Six String Summerfest and Music Fest events have been deemed a successful day. 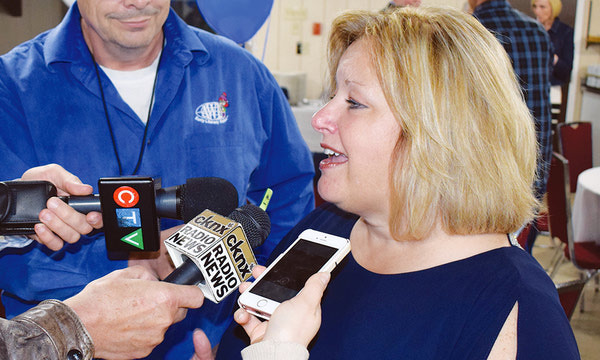 On Friday morning, Huron-Bruce MPP Lisa Thompson was sworn in as the province s Minister of Education under Premier Doug Ford. 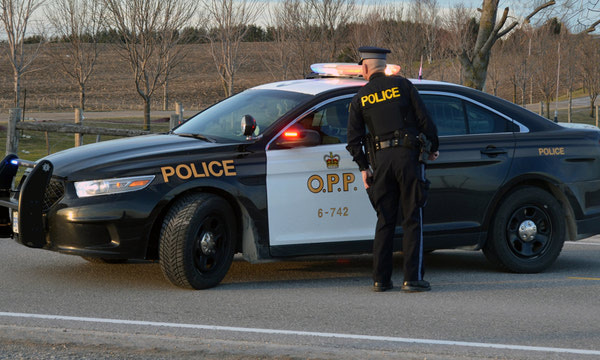 While North Huron Council has oficially decided to go with the Ontario Provincial Police (OPP) to provide service in Wingham, it s still possible it won t happen, which is making planning difficult for the municipality s police services board. 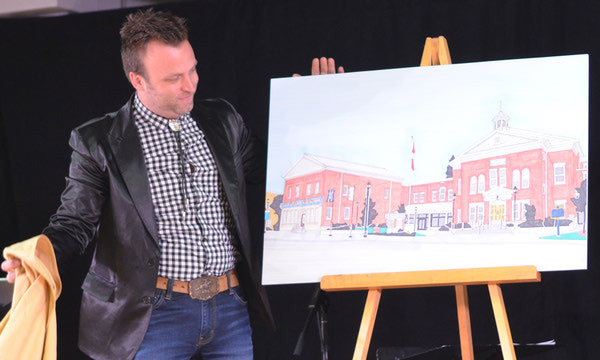 Renowned musician Tommy Hunter, known as Canada s Country Gentleman , was in Blyth Saturday night as he was honoured by the Barn Dance Society with its Pioneer Award. Sunday s Run Around The Square in Goderich honoured two great men from Blyth with a long history of helping their community. 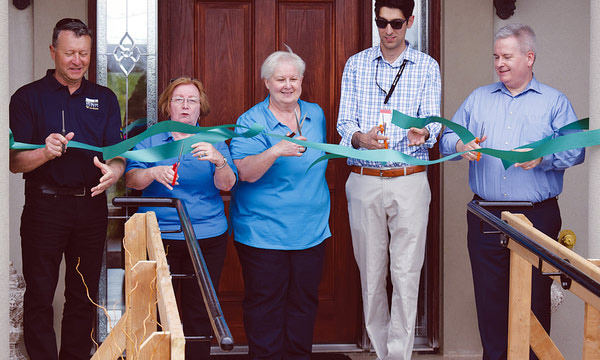 The culmination of years of hard work and determination came to fruition on Sunday with the grand opening of the Huron Residential Hospice just west of Clinton. 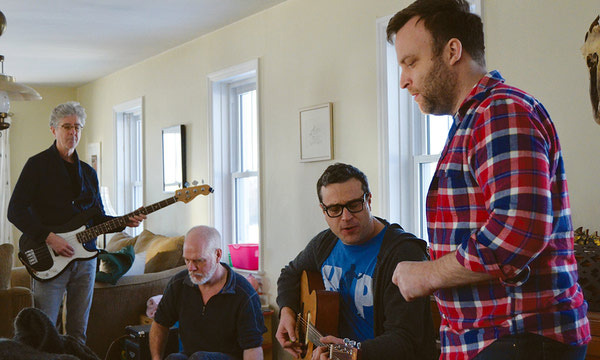 The Huron Arts and Heritage Network handed out its annual Cultural Awards on Friday night at Memorial Hall and a number of local projects and people were honoured. 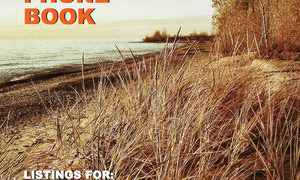 The Citizen phone book for 2018, featuring listings for Auburn, Blyth, Brussels, Clinton, Goderich, Gorrie, Listowel and Wingham. 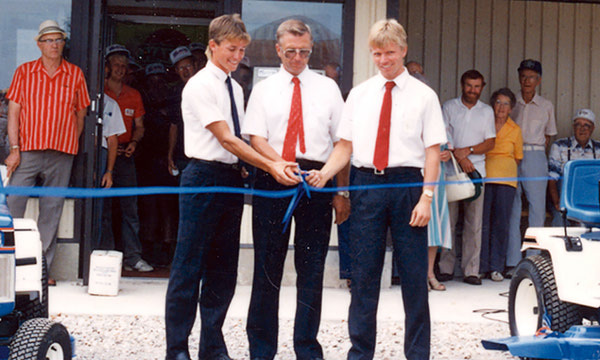 Produced by North Huron Publishign Company. 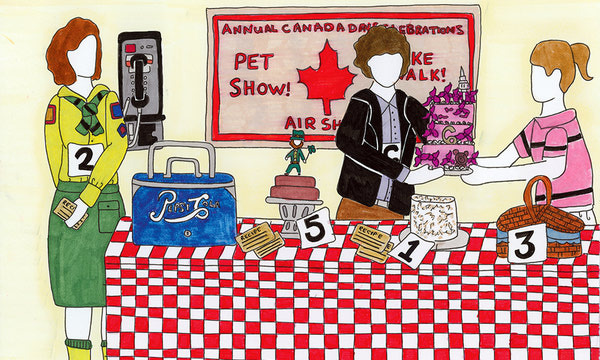 The Citizen presents its annual look at the people behind the productions at the Blyth Festival. 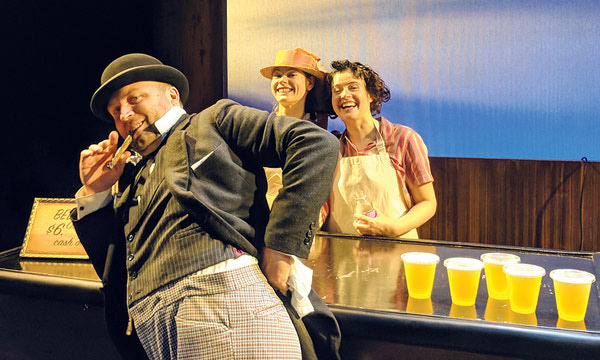 From the volunteers to the Artistic Director and the writers to the actors, theatregoers can find interesting stories about everyone involved in the Festival. 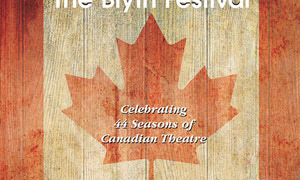 The Blyth Welcome Guide, produced by The Citizen and the Blyth Business Improvement Area (BIA) features stories about local tourist attractions to help visitors to the village plan vacations. The obituaries that appear in North Huron Publishing s The Citizen appear here. 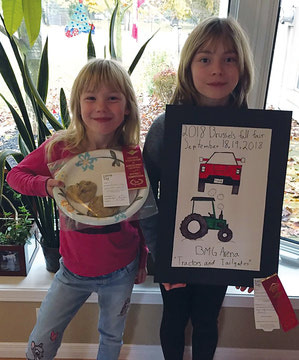 Annual, The Citizen produces its Salute to Agriculture to inform and honour the agricultural community that provides for rural Ontario.